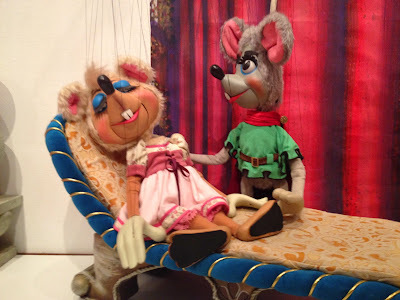 I don't have pics from the wedding I'm comfortable putting here, so enjoy some creepy mouse puppets. My best friend got married last weekend*. It was a great wedding, and I’m not just saying that because I was in it. She’s got a wonderful, huge family, and the groom’s mother and her partner were delightful. It fascinates me on some kind of level because you never know when you meet someone what kind of experiences you’ll go through with them or because of them. Like, ten years ago, meeting Agnes (as I’m calling her on the blog) either at the airport in St. Louis or in the Pension in Bad Feilnbach, I would never have guessed in a decade I’d be wearing a dress at her wedding. Living below minimum wage in the Hamptons, Summer and Winter editions. With bonus cameos from my previous car, the Pig, which was so old and janky that I drove with a broken window for a solid two months! That fascinating weekend I was so sick I begged Maria von Trapp to cure my cold with the power of her voice alone. She did not. I remain disappointed to this day. The very powerful and exciting days that inspired me to create an expansive spreadsheet to track all of my writing. Whining all the way to the top of King Arthur’s Seat because my best friend might be a mutant…or just a hiker. She likes that kind of torture. The views were very pretty, though. And I only imagined my death 17 times. So…win? The six week period I became that writer in a Starbucks with a Macbook. My horribly traumatic childhood where I was bullied—BULLIED, I TELL YOU—by a pair of Boston Terriers that liked to smother me in my sleep, while my parents laughed from the living room. But anyway, I don’t know how this became a blog post about writing when I was intending to talk about Agnes. Weddings and other big occasions, they make you reflective, I guess. Which was probably a good thing for me, since I made a toast at the wedding and all. The day itself was very, very full. I arrived pretty early for hair and makeup, as they call it in the Biz, and generally spent the day trying not to get underfoot while attempting to be the biggest help I could. My hair was straightened and left down for the occasion, so I kept myself away from hair-ties to prevent automatic reaction, and tried not to die multiple times in my very sparkly high-heels—which had absolutely no traction whatsoever and I nearly died four times on the stairs thanks to a combination of never-wearing-anything-but-chucks and aforementioned lack of traction. One hilarious side-effect of the day is that Agnes’s parents and Agnes have apparently been bragging, so I had several people come up to me: “Are you the writer? !” That has become my identity officially. Wow. Even the minister asked, and I inwardly panicked and tried not to think about how many times Gail drops the f-bomb in SUPERVILLAINS ANONYMOUS**. But yes, now my friend that I’ve known for a decade, the woman who nagged at me to actually go to class and who is probably the reason my GPA was as high as it was, is married. And the guy she married—heretofore known as Amos on this blog—is awesome. The first time we met, we discussed the infinity stones at length, so as I put it to Agnes on Saturday, this is like revenge for me, that she ended up with a nerd after all the times she’s teased me about my nerdiness. Muhahaha. PS - For posterity’s sake, I’m going to tell you the joke I made in the toast. Why are bananas never lonely? BECAUSE THEY COME IN BUNCHES. Yes, ladies and gentlemen and otherfolk, this is what my best friend texts me on Thursdays at work. That I gleefully turn around and tell the entire room full of her relatives about. In a nice way, I promise. * I have at least four best friends. It is a tier, not a person, as the great Mindy Project (RIP) put it. ** Spoiler: it’s a lot. Gail does not have a good time in SVA. *** with the exception of muscle relaxants giving me hallucinations of actual monsters in my closet. Why I thought my overweight terrier dog who hides behind me when Chihuahuas come too close would ever be of help against a monster, I have no idea. But as is her habit, she woke me four minutes before my alarm clock for the second morning in a row, so yay. I do love a good wedding! I'm up for anything that gives me a reason to eat, dance, and celebrate with friends. But where in the world did you come across those mouse puppets?